PJ Sharon here. I’ve been taking an online course this month to learn how to use Scrivener. For those of you who don’t know what Scrivener is, it’s a software program developed specifically for writing. Scrivener puts everything you need for structuring, writing and editing long documents at your fingertips. It’s a way to organize your work into chapters, scenes, or sections so that it’s easy to move and manipulate them within your document. There’s even a place to keep all your research together in one easy to find folder. Think of it as one of those cool binders you loved to shop for when you were in high school…or maybe that was just me. Scrivener is available for Windows or Mac users and there are tons of tutorial videos out there. So why am I taking a course? Because I’m one of those non-tech-savvy individuals who needs my hand held whenever I’m faced with learning anything new on the computer. I’m convinced that this is why I married an engineer (aside from his being a sweetheart, a hottie, and a heck of a good kisser). 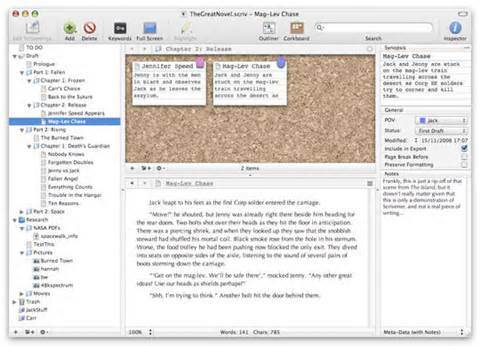 Scrivener is one of those writing tools that I can see has amazing potential to streamline my writing process. Once I’ve completed my manuscript, the program compiles it all into a professionally formatted document and even allows me to produce a .mobi file and an .epub file for upload to Amazon and B&N, respectively. I’m not there yet, but I’m pretty sure it will generate the appropriate file format for I-Books and Kobo as well. This would save money on hiring a formatter to do this for me, and I would continue to have complete control over making changes as needed. If I were one of those folks who loves new gadgets, gets excited about the prospect of Windows 10, or one who can’t wait to buy the latest greatest I-Phone, I’d be stoked about learning Scrivener. Alas, I am not one of those people. Although I pride myself on being an intelligent person with a “can do” attitude most days, my brain does not appear to be wired for organization of files or the minutia of the not-so-intuitive Scrivener program. I’m more the absent-minded professor type who lives with piles of notebooks and file drawers full of things I’ll probably never need but can’t get rid of. Frankly, I’d rather be writing my stories than learning ANOTHER new computer program. I’m hoping to feel differently after the course is complete and will report back as to its usefulness, or more to the point, my ability to adapt to it. There are however, other tools of the trade that I have found exceedingly helpful. Here’s my top 5 list! Excel: Not long ago, I recall saying the only thing I knew about spread sheets was how they fit onto a mattress. After a few quick tutorials with techno-hubby, I was able to reap the benefits of this most excel-lent tool. I use it for my list of websites and passwords, keep track of bloggers, reviewers, and promo sites, and compile my quarterly/yearly sales reports (when I get around to them), all done with excel spread sheets. I know only the basics of how to use it, but it seems to be doing the job for me just fine. Excel is available through Microsoft Office. So these are a few of my favorite tools of the trade. Have you used any of these? Love them or hate them? Any I’ve missed that you’d like to share? Don’t you just love October? 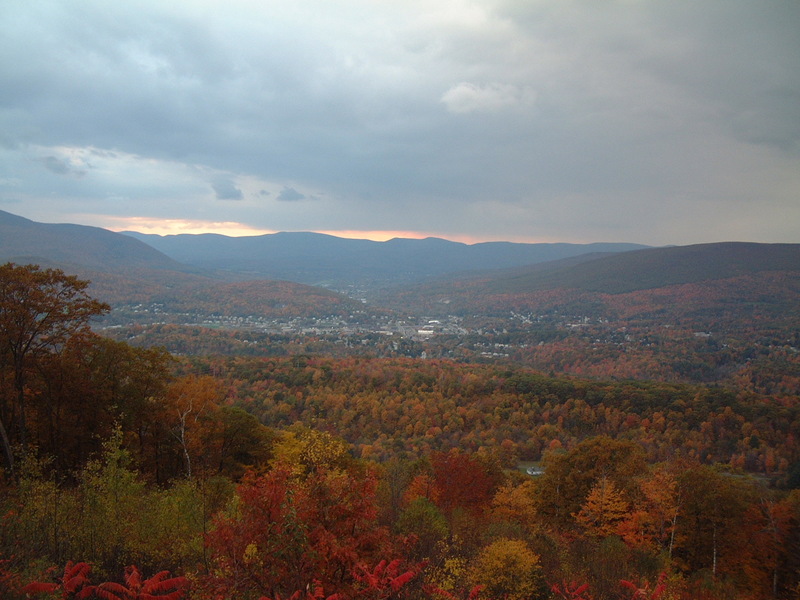 A bit of Indian Summer to go with the beautiful autumn foliage makes it the perfect time for some fall clean-up–although the past few days have felt more like May than October. I’m afraid I’ve spent far too much time indoors lately instead of being out enjoying this fabulous weather. I did get out for one last kayak trip this week, but yes, I’ll admit that I’ve been dragging my feet on weeding out my perennial bed and prepping for winter. I’m sure it will all get done in the nick of time, and trust me, I have a good excuse. 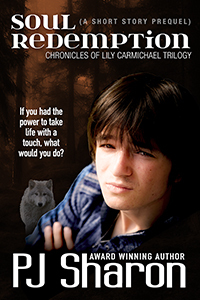 I’ve been working hard to finish up the third book in the Chronicles of Lily Carmichael trilogy, due out in December. I’m happy to say the first draft is complete and I’m diving into revisions. Yayyy! If you’re a writer, you know that reaching “THE END” is never an easy feat and it’s definitely cause for celebration, but you probably also know that it’s just the beginning of the hard work of revising and editing, polishing and publishing within a pretty strict set of looming deadlines. In addition, I’m in the process of writing a Christmas novella (more on that next month), and I’m re-branding the Lily Carmichael trilogy. One of the coolest parts of indie publishing is the ability to make changes even after a book is published. I consider this a fall clean-up project, much like cleaning out closets or washing windows. It’s not like anyone would likely notice the dirty little details, but it’s an opportunity to put a fresh face on and make everything sparkly clean. I’m hoping that the combination of the new covers, the cleanest copy possible, and the ability to offer pre-orders six weeks in advance of the release of HEALING WATERS will have a significant impact on sales for the series. I’ll keep you posted and let you know if it works! As for why the re-branding, Bella Andre once said in a workshop at RWA Nationals, that if your books aren’t selling, the first thing to do is to consider changing your covers. Aside from writing great books, it’s the easiest thing we can do and one of the few things we have control of. The market changes quickly, and competition is fierce, so it’s super important to try to make our books stand out and look professional. 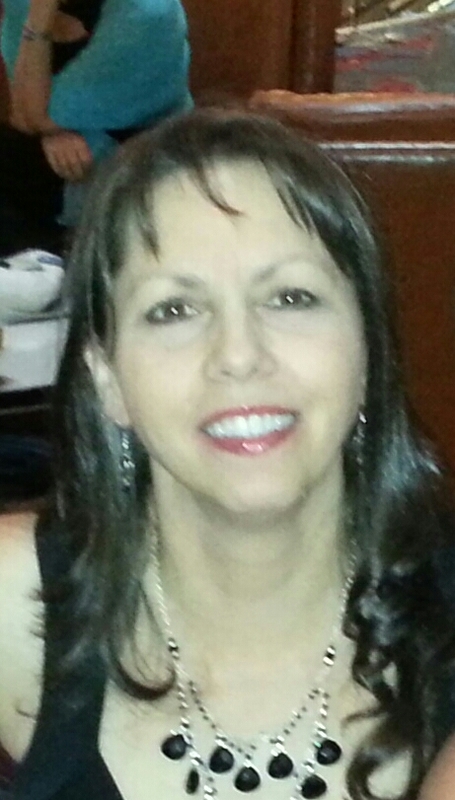 That’s why I hired Kim Killion of The Killion Group. She’s awesome to work with, reasonably priced, and tops in the industry. I’m excited about the fresh new look! Here’s the new cover for SOUL REDEMPTION, the short story prequel to the trilogy. 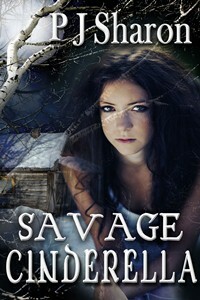 This is a 15k FREE short story available for download from Smashwords. What’s it like to be a teenager in the year 2057? Life is hard enough when three quarters of the population has been wiped out by a viral plague and a polar shift threatens to drive humanity to extinction. Adding a genetic modification that gives you the power to take life with a touch only makes being a thirteen year-old boy that much more challenging–especially when he can’t control his growing ability. Zephron Carmichael would like nothing more than to have a normal life. But hiding out in the Northeast Hills trying to escape capture by the Industry—a rogue division of the New Government who wants to exploit Zeph’s gift—is hardly the way to go about it. Life isn’t so bad on the small woodland farm he shares with his Uncle, but he’s tired of living under the shadow of his annoyingly perfect and bossy big sister, Lily, whose ability to heal makes her well respected and loved in the community. It also makes her another perfect target for the Industry. As Zeph struggles to control the awesome and terrible power that’s growing inside him, he must find a way to protect his sister, find a place in the world, and make amends for a terrible wrong. In the meantime, I’m releasing the new covers–one each Friday–over at my PJ Sharon Books FB page. For being such loyal followers of the Scribes, you guys get a sneak peak of the new cover for WANING MOON a day early! As I’m counting down to the launch of my next book, PIECES of LOVE, due out in a few weeks, I figured I would do something a little different this time. I finished and posted my book trailer before the book’s release. You would think this would be a no brainer, but I’ve published five novels and haven’t managed to do this until now. With good reason, I assure you. I can’t tell you how long it takes me and my husband to produce a decent trailer. Don’t get me wrong. He is an amazing source of technical support, but he’s a super busy guy and can’t always work to my time schedule. I also get frustrated in trying to share my creative vision with him in a way that translates to exactly what I want. Yes…I’m afraid I’m a bit picky. So this time, I took it upon myself to learn how to use i-Movie, and created my own book trailer. I thought I would share the process with you today. First off, I recommend finding the right music. There are several stock music sites that offer “free” music, but it can take hours of listening to samples to find just the right piece, and the selection of free titles is limited. It’s likely you’ll pay a nominal fee for what you want. Be sure to read the fine print because you may also only have the music rights for a specifically contracted period of time. The most important thing is to find music that is released under a Creative Commons license, and to give the artist credit when due. Here are a few sites where you can find music suitable for book trailers. Since I’d gone this route before and found the process daunting, and I wasn’t willing to pay someone big bucks to do a trailer for me, I almost wasn’t going to have one this time around. As the fates would have it, my main character in PIECES of LOVE, Lexi, plays guitar, sings, and writes music. In my efforts to help readers connect to the character on a deeper level, I was inspired to write lyrics into the book. Of course, then it dawned on me that I should also try to put music to the words. Not that I’ve ever written a song or know how to write music, but what can I say…my muse was feeling adventurous. With a step in faith and a little effort on a lunch break, the tune came to me, and I recorded it into my phone (love those apps). Then I took it to my pal, lifelong musician, Ozone Pete, who plays guitar and “knew a guy” who could help with a professional recording. Six months later, we spent a day with Jim Fogarty of Zing studios in Westfield, MA. All in all, it took a total of about fifteen hours over two days and I had a theme song—now available for download on i-Tunes. It was the perfect choice for the book trailer. Once I had the music, I was ready to start on the hard part. Being techno-challenged and averse to learning the Mac’s operating system, I was prepared to defer the actual trailer production to my husband, but as I said, that wasn’t to be if I wanted it done sooner rather than later. I bit the bullet, so to speak, and dove in. I used parts of the book’s blurb and boiled the synopsis down to a paragraph, creating a “story board” with 8-10 slides to “tell” the story. I figured each slide would require about 6-10 seconds—long enough for viewers to read. Adding the transitions and front/back matter, I was able to keep the whole production at about two minutes. Using stock photos from Big Stock Photos, each costing about $5-10, I chose photos that reflected the blow by blow description of the story. Uploading the music and photos to my husband’s Mac and importing it all into i-Movie was a challenge for me (being Mac deficient) but a snap for hubby, so I let him do that part. Once I had all the pieces there to work with, it was a matter of choosing an appropriate segment of the song to match the story board. Two minutes is a bit long for a trailer these days, but I had a certain timing in mind for the slides and the music selection to work together. Caution: Timing each slide and transition accordingly is an OCD sufferer’s nightmare…or dream come true, LOL. I tweaked and cajoled this thing to death, but the final product was worth it, IMO. Yes, countless hours went into the project, and there were studio costs, but in the end, for a few hundred dollars, I have a product I’m proud of and it’s exactly what I envisioned. I can use it to promote my book as well as the song on i-Tunes, and at the same time, offer an entertaining connection for my readers who might find it interesting to hear the author singing the theme song. As much as I’m not a big Mac fan, I-Movie is a powerful program! Once I figured out how to use all the neat features, the possibilities seemed endless. There are several backgrounds, title fonts, and styles to choose from for each slide, special affects you can apply to pictures and transitions, and many variables you can and can’t control. For instance, I wanted to blur a couple of the photos but couldn’t do it in i-Movie, so I exported them to Power Point, manipulated the shots there, and then saved them to the i-Movie event I was working on. It was simply a matter of playing with the program and figuring out what worked. Of course, when I ran into trouble, hubby was there as tech support. Once I had fine-tuned my baby and edited the crap out of it, I published it to You-tube and shared it on all my social media sites. It had over a hundred hits the first day! I’m glad so many people have enjoyed the production and I truly appreciate all the positive feedback. If the DIY version seems too daunting, save your pennies, because a decent trailer can run you anywhere from $300-$1200. I’ve seen them for more and I’ve seen them for less, but you definitely get what you pay for in this case. I once paid $50 to a supposedly reputable person and was less than satisfied, so lesson learned for me. Until I can afford to pay the big bucks, I’ll continue to go the DIY route. What do you think of book trailers? Are they an effective promotional tool? Seen any you love? Good May Day, Scribe’s fans. PJ Sharon here. I won’t likely be dancing around a May pole today, but I will be celebrating Spring with over fifty of my author pals from the Book Lovers Buffet who are having a party over on Facebook this afternoon. Every fifteen minutes between 3-10 pm, EST, another romance author will be available to live chat with anyone who wants to stop by for a visit. I’ll be there from 7-7:15 pm. sharing favorite cruise destinations and giving away e-books and an i-Tunes download of the single, PIECES of LOVE, the theme song from my upcoming release. Lest you think this is a silly waste of time, there will be oodles of giveaways and some enticing questions to draw a crowd throughout the day. Favorite paranormal creatures? Vacation destinations? Favorite perfume or men’s fragrance? Fashion, dance, Texas hunks…topics for everyone. There will be gift cards, e-books, audiobook giveaways and more! So what’s with all the Facebook parties lately? Is it just the latest trend in author promotion? Or is it a savvy way to use the platform that so many of us have worked to build? Since connecting to readers is an all important part of our job as authors, hopping on the FB train seems like a good idea…at least for now. As with any new promotional trend, I suspect this one will burn itself out fairly quickly, but for now, I’m having fun with it and plan to use it for my book launch in June. Click Events in the left menu of your homepage. You’ll be taken to your event where you can share posts, upload photos, invite more guests, and edit event details. Of course, you’ll want to create a theme for your party, upload a flashy new banner, offer incentives for people to stop by, create engaging content ahead of time so you can keep momentum going throughout the party, and maybe even have a famous guest or two stop by at a scheduled time so readers can pop in and live chat for a few minutes with your celebrity guest. You may want to enlist some help spreading the word via Twitter, Google+, Goodreads or other social media outlets. Be creative and think outside the box. What do your readers love about your books? If you write cozy mysteries maybe share some recipes or craft ideas. If you write romantic suspense, maybe ask about favorite suspense movies, creepiest actors to play villains, etc. Consider your audience, make it fun and entertaining, and have some prizes to encourage reader engagement. Use Random.org to choose your winners. The way I use it for free is to keep a numbered list of commenters and then plug in the range of numbers (1-10 for instance if I have ten folks who have left comments) and let Random pick the winner’s number. The bottom line, as always is that it’s not so much about “buy my book” as it is “hey, I’m a human just like you…let’s hang out.” Readers are much more likely to want to chat about books in general, life’s little entertainments, and what they can get for free than they are to respond to “buy” messages, so keep it real, keep it fun, and keep it friendly. I hope to see you all later over at the party! What do you think of FB Parties? Fab or Fad?